The Africa Centre for Energy Policy (ACEP) has launched a campaign to allow for public scrutiny of the policies and manifestos of political parties in the run-up to the 2016 general elections. Dubbed the ‘Citizens’ Agenda for Energy Sector Development’, ACEP, with the support of its partners, will hold public fora in the upper, middle and southern belts of the country to gather citizens’ expectations of political parties as far as the energy sector is concerned. It will target the media, civil society, industry players, and students who are concerned about the energy sector. Additionally, ACEP will also constitute a panel of experts who will examine policy directions of the various political parties and presidential aspirants to explore the best ways to have an efficient energy sector. Executive Director of ACEP, Dr Mohammed Amin Adam, who revealed this at the launch of the campaign on Monday July 4, pointed out that “the organisation is happy for such a platform”. He explained that the objective of the campaign was to engender public understanding of the manifesto proposals in the petroleum and energy sector. Additionally, the programme seeks to have a platform for public expression of what citizens consider their priority in the petroleum and energy sector deserving the attention of politicians. 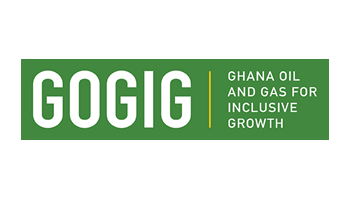 The campaign is supported by the Ghana Oil and Gas for Inclusive Growth Programme and funded by the UK government.